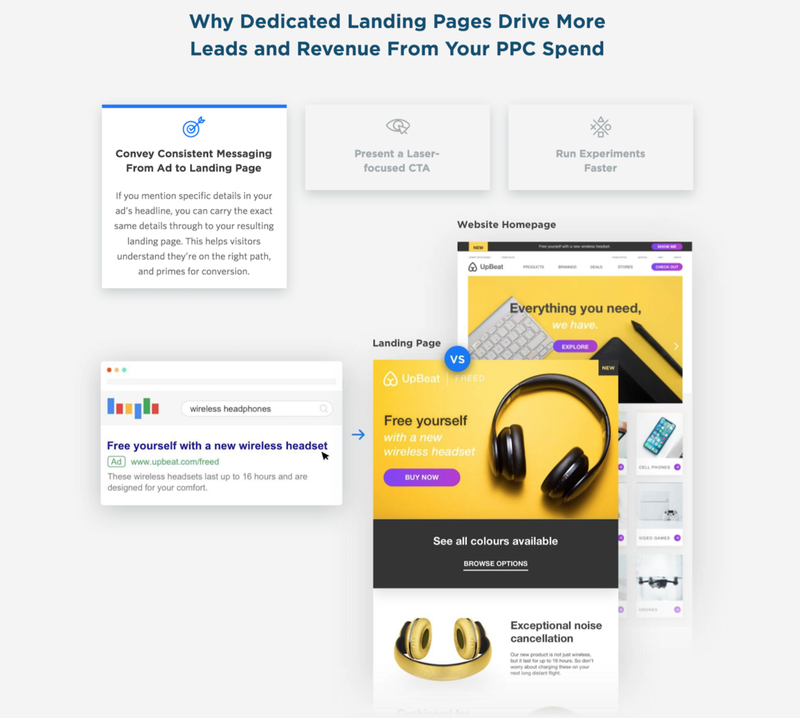 When data revealed the best, long-term Unbounce customers run paid ad traffic to their landing pages, our team wanted to ensure we attracted more of these prospects. 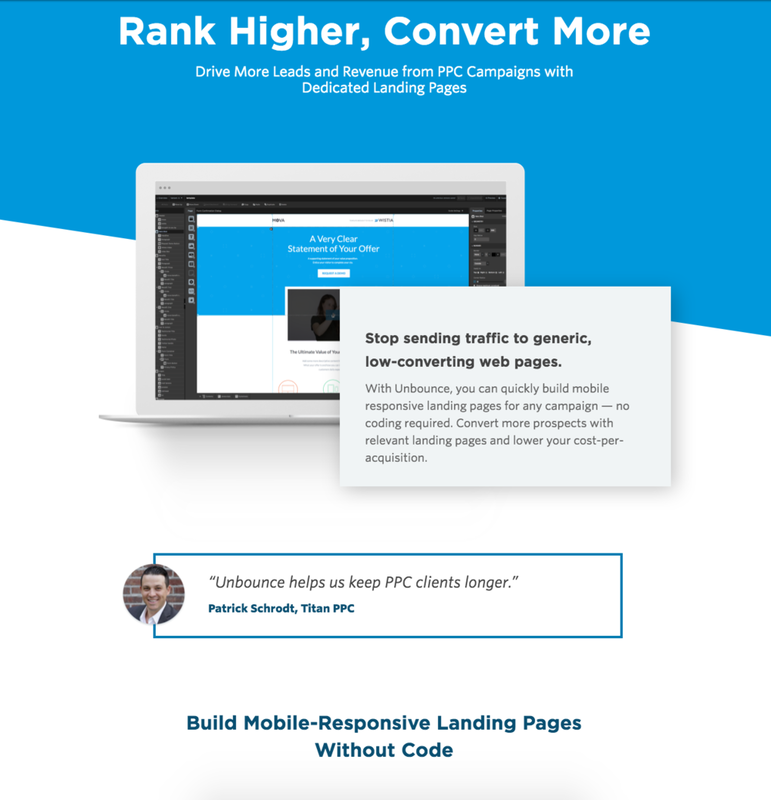 So we revamped an existing landing page using Drift's storytelling framework. Leading the team behind this work, I wrote the copy for the page, and our terrific designer Sabrina Chan created the layout and images. Below, I've captured some highlights from the live page you can see here. Click the images above to expand into a lightbox. Phew, much better. We re-jigged this content to be suitable for someone very early in their buying journey. We also used specific language and insights that our legendary conversion optimizer Michael Aagaard helped us uncover. 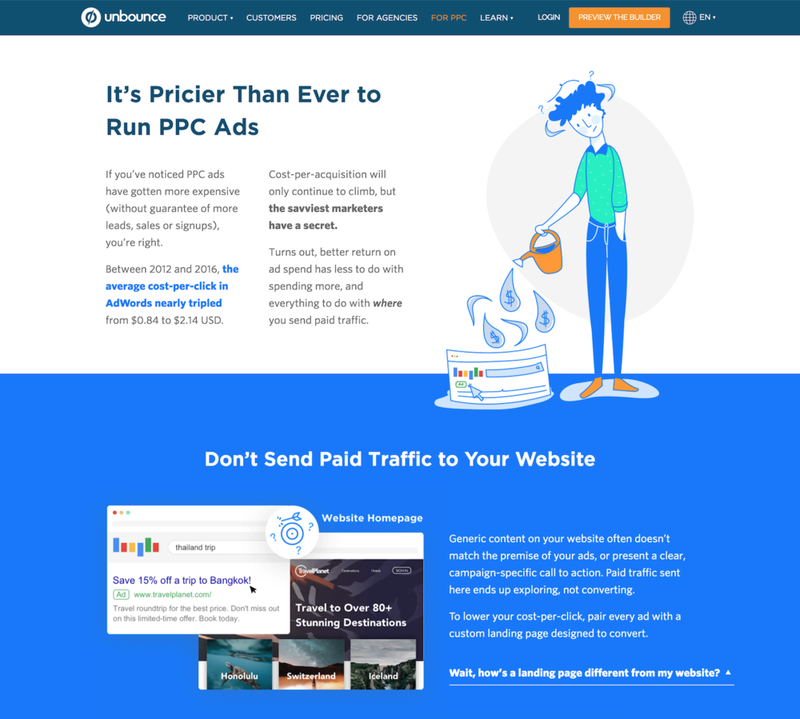 The end of the page presents more high-profile social proof from customer Vimeo, and offers up CTA options including selecting a plan, browsing our templates, or exploring the builder for free in our preview mode (no credit card required). CRO insights: Michael Aagaard + Cody Campbell, Design: Ceci Martinez + Sabrina Chan. Copy and project management: Jennifer Pepper, Consultations: Meg Sakakibara, Corey Dilley, and Larissa Hildebrandt.